The mining industry requires the mobilization of entire companies, and nobody understands this better than ClearSpan. Our temporary warehouses aren’t just a building for you to work in, but a tool that your company can use on a daily basis. With the ability to be deconstructed, transported and installed, ClearSpan structures are ideal for the mining and exploration industry. 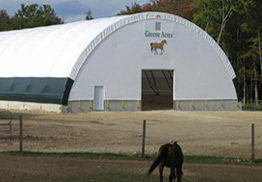 These fully customizable structures provide plenty of clearance and feature no support posts, so there is maximum storage and workspace, as well as ease of movement. Keep your company on the go with a dependable ClearSpan temporary warehouse that can be built to suit any warehousing need. 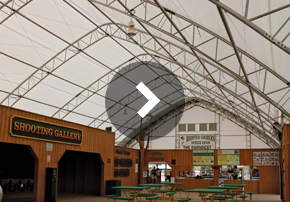 Our temporary warehouses come in fabric, hybrid and metal buildings, ensuring that no matter how you plan on using your ClearSpan structure, there is an ideal option.